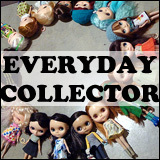 BlytheLife.com » Finding an Inexpensive Kenner? I’ve been asked on several occasions how might a Blythe collector be able to get their hands on a vintage Kenner at non-eBay buy it now prices, and it’s very difficult for me to give an actual answer to that. 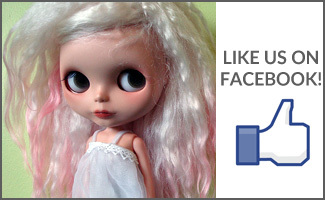 Kenners are a bit like a different animal when compared to Takara or ADG Blythes – it’s a lot easier to price a stock doll (or even a customized modern Blythe) than it is a Kenner at times. Kenners are all different from each other. In box or out of box; original hair or cut hair; blonde, brunette, red or raven; side parts, centre parts, wispy or chunky bangs; are there cracks, and where are they? ; holding clicks in the knees; limbs there or missing; blush or no blush; eyelashes present, missing or wonky. There are so many factors that can make or break the cost of a Kenner being ‘affordable’ to you. Affordability also means different things to different people. To some, it’s in the hundreds while others are willing to pay thousands for a super blushy, non-yellowed, NRFB with original plastic on the box. I am, however, able to provide some minor tips that may help you find your very own Kenner at a hopefully decent price! Do your research! I would definitely recommend ‘watching’ auctions on eBay for Kenners of various types of conditions and see how much the bidding ends at. You’ll want to note down things like hair colour, cracks, any other damage, if any original clothing or accessories come with the doll. 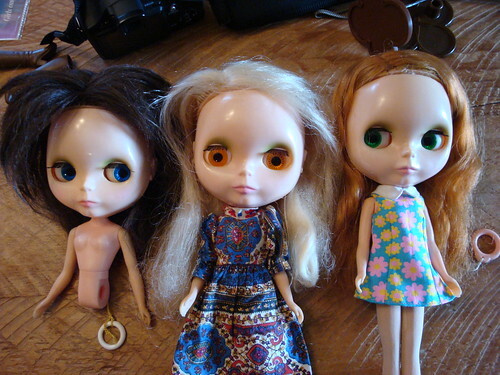 The least expensive Kenners will be those with matted/cut/missing hair, cracks, possibly missing or chewed limbs, no original clothing/accessories and possibly missing a pull string, has clouded chips and yellowing. Also watch for listings with poor, small or blurry photos, the Kenners tend to go for less in these auctions. 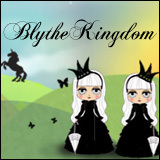 Take advantage of forums like TIB and BK – post ‘looking for’ threads to see what pops up! When I did this, I had several people offer up Kenners that they were looking to sell. Also look at the selling boards regularly to see if anyone is trying to sell a Kenner. The great thing about buying from a collector is that they’re more likely to disclose flaws, take better photos and also know more of the history of the doll (any repairs, if the scalp is original). eBay sellers are less likely to know about potential flaws as they aren’t collectors/enthusiasts. Check out thrift stores and second hand stores! I’m sure we all still remember that blonde Kenner that was rescued from a thrift store a while back for a grand total of $1.99. Yes, thrift store Kenners do exist! All you need to do is actually look for them. This is more helpful, of course, if you live in a country where Kenners were originally sold. If you do happen to live in a country where Kenner originally carried Blythe, I also recommend checking out garage sales, online listings (eg. craigslist) and local flea markets. You never know if you might come up lucky or not! And it would be fantastic if there were more Kenners in the hands of collectors! Good luck finding your inexpensive Kenner! How much are you willing to spend on a Kenner? What’s so special about Kenners? I don’t think I would ever get a kenner, and if i find a cheap one i would sell it! Sure they have their charm, but I’d just rather trade it for a bunch of neo. Great article, I agree with you, also if theyre willing to just buy a head for instance that could be cheaper. I got one of mine from an estate auction. She needed lots of work.